MSNBC cleared a little over 1.7 million. In total day viewers, Fox News was number one in all of cable, with an average hold of 1.5 million viewers. MSNBC came in a distant second with 972,000. CNN came in fifth with a humiliating 791,000. 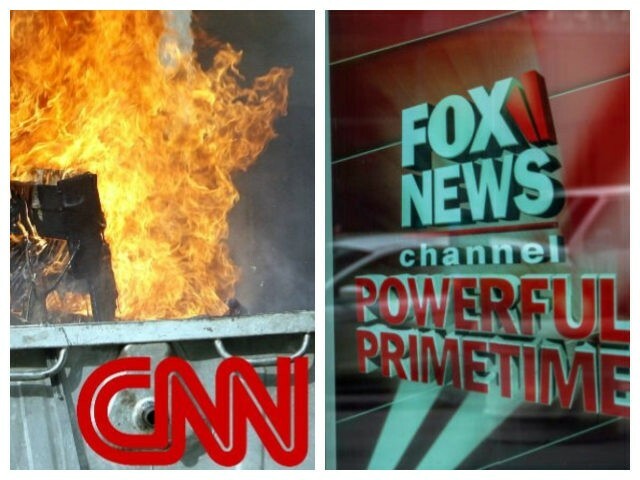 Of note is the fact that the only good day CNN had was Saturday, the day of the royal wedding, when the anti-Trump channel topped both Fox and MSNBC in total viewers. So when it comes to covering fluff and pageantry, CNN scores. But when it comes to actual news, people who wish to be informed are fleeing in droves. May has so far been a catastrophic month for the Stormy Daniels Network, especially for Jake Tapper, who has lost nearly a third of his own audience. CNN’s Chris Cillizza did not help things this week when he was (again) caught lying about President Trump, this coming the week after Cillizza tweeted an image of Trump in what looked like the crosshairs of a sniper scope.